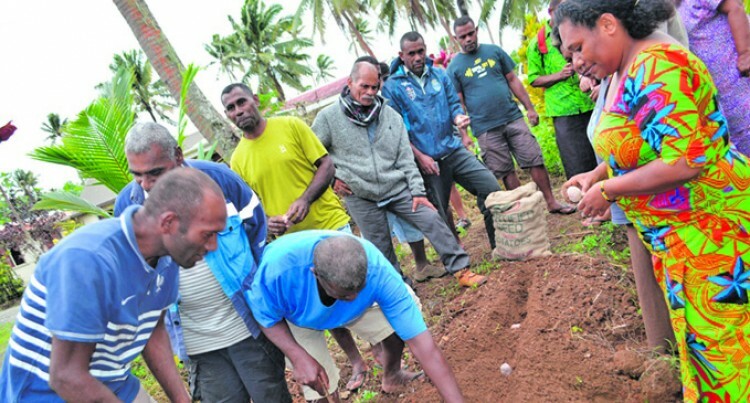 The Ministry of Agriculture as part of its outreach to farmers conduct­ed a training for farmers from the provinces of Serua and Namosi on the implementation of correct husbandry practices in the cultivation of potatoes in order to maximise its production. Senior agriculture officer (potato) Moham­med Kadir Khan said the training would assist and further faciliatate rural develop­ment. “The training is conducted to capacitate and to upskill our farmers in the provinces of Serua and Namosi so they can re-look at the way they do potato planting over the years in order to maximise their yield,” he said. Farmers were informed about potato cul­tivation and management practices, eco­nomic pests of potato, pre and post-harvest management and proper seed selection. With the current potato import bill stand­ing at 27 million tonnes, a reduction from 30 million tonnes, Mr Khan urged farmers to continue with the farming of the commod­ity to meet the local market demand. “Potato production worldwide fluctuates that is why prices in supermarkets continue to fluctuate. “I encourage you, farmers, to engage in potato farming, make use of resource par­ticipants and engage yourselves to generate a living, hopefully, we can increase produc­tion to 9 tons per hectare from the current average of seven tonnes per hectare,” he said. Farmer Joseva Boseiwaqa said the train­ing has given him a different insight on the commodity and hopes to achieve a higher yield. “It is one of the introduced commodities and with the training we received, we are able to distinguish things and although it needs attention, following what has been taught it can produce a favourable out­come,” he said. Similar potato training will be held in the Western, Central and Northern Divisions and in Levuka by agricultural officers who had undergone technical training on the po­tato cultivation cycle at the National Agri­cultural Research Institute (NARI) in Papua New Guinea.